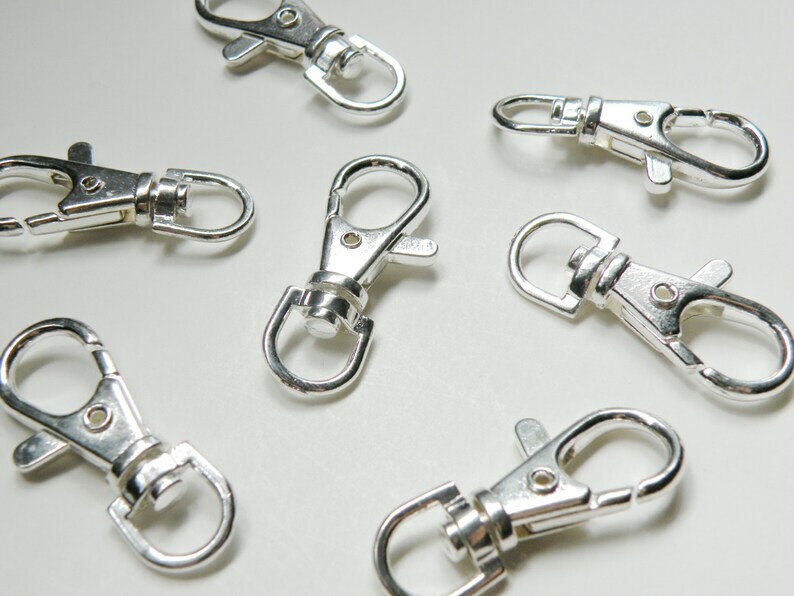 Large, heavy duty lobster claw clasps with swivel base in silver plated zinc alloy 39x16mm. Perfect for lanyards, pocket watch ends, adding beaded accessories to purses, and so much more! Great quality product from a trusted Seller! Thank you !! Great prices on this product. Some of the best I’ve seen so far! So nice to find so many in this color. I will buy these again. Fast shipping! Exactly as described! Just what I needed! Excellent quality. Thank you. This is my second order from this seller and everything is Great!